Legislation-backed regulations abound today to help control the financial arena. Many a business actor is concerned by mandatory financial reporting to submit to national or European authorities. Reporting formats are imposed and implement complex business rules. The emerging standard for framing data and shaping reports is XBRL, the eXtended Business Reporting Language. The definition of XBRL reports is supplied by the Authorities under the form of a specific XBRL taxonomy, to be viewed as a “dictionary” of reporting concepts capturing business meaning, inter-relationships and any other pertinent semantic meaning. It also offers a solution for rendering and validating reports. Needless to say that an XBRL taxonomy can be sensibly more complex than a basic report template! Banks, investment firms, insurance companies, pension funds, and tomorrow public entities or “listed” companies (whose shares are traded in a stock-market), must report regularly on business results, financial shape and stamina, and compliance with regulations. To this end, they have to take a series of snapshots of their positions and state of affairs, and to feed it into an XBRL report. This entails capturing all relevant information from within their financial and ICT systems, making it fit the supplied XBRL taxonomy and submitting the resulting XBRL instance (i.e. the files created) for validation to the National Authorities which in turn will feed the corresponding European Supervisory Authorities. You don’t do this in the wink of an eye! This is where Acsone’s Arevio XBRL wizard will boost your reporting accuracy and proficiency! New taxonomies, and revised versions thereof, are regularly published by control organisations. The demands for regulatory reports is on the rise. For coping with this ever-increasing complexity and complying with legislations, financial institutions have to equip themselves efficiently. Armed with our long-haul expertise in XML and XBRL we have designed a REALLY powerful tool that takes care of most of the reporting operations your organisation has to perform. Exciting since it can cope in no delay with any new taxonomy or evolution thereof – it’s taxonomy-driven and reflects all changes brought in by regulating institutions. Intuitive, as its remarkable user interface allows you to command how data are grouped and presented – no need for specialised (and expensive!) consultants making their way through a tangle of XBRL concepts, contexts, facts and tuples, AREVIO does it for you! Pedagogic, it really helps understand a new taxonomy by showing where a fact appears in different tables or statements. Reliable and bug-free! Yes indeed! Open-minded, because as a component AREVIO fits ideally into your editorial process. Download the software on a MS-Windows 10 or Apple macOS or Linux machine. Download the relevant XBRL taxonomy supplied by the control organisation. Attend a leg-up web conferencing session that’ll give you an introduction to your XBRL reporting practice. Support of XBRL specifications: table, presentation, formula, dimensions linkbases and inline XBRL. Native XBRL drafting capability for any taxonomies based on Presentation or Table Linkbase. Spreadsheet drafting support (MS-Excel or OpenOffice Calc) for any taxonomy based on Presentation or Table Linkbase. Inline XBRL support for Presentation Linkbase taxonomies. Strong formula processor providing validation results in user interface, XML file or spreadsheet contextual format. Optional deactivation of temporarily inadequate validation rules. Advanced drafting capabilities in terms of search, footnote management, or viewing facts either raw or rendered, and showing them in all their table locations. AREVIO comes under numerous editions, all followed up and attended by our team [rows are Authorities, columns are industries, cell contents are demanded reports]. All these editions are powered by Arelle® and delivered as a standard executable file with an annual right of use, a leg-up web conferencing session and access to Acsone’s service desk. Arevio CRD IV edition has been available as soon as 2014, check here for more information. Together with Arevio SRF edition, documented here. Arevio LDR edition: this is EXTREMELY hot! Banks must meet the Liability Data Report deadline of 31 March 2019! Check our special page here. Specifics for the Netherlands: Arevio NL Banks edition supplies you with all you need to have, swift and accurate, to meet the requested DNB and SBR reports BSI, MIR, Form 8023 & BIS CBS, see here. Specifics for Luxembourg: implementation of the plausibility checks. Arevio Solvency II edition has been available as soon as 2016, check here for more information. Specifics for Belgium: Arevio BE Insurance edition supplies you with all you need to have to make the requested NBB report IRR, see here. Specifics for the Netherlands: Arevio NL Insurance edition supplies you with all you need to have to make the requested DNB report VNS-JR, see here. Arevio IORP II edition: this is hot! Pension Funds across Europe have to report on their assets and risks. Deadline is 30 September 2019! For a complete XBRL IORP II solution, check here. Arevio ESEF edition is a project in line with the taxonomy to be published by the ESMA that will empower companies to produce their annual report with both XBRL machine-readability and XHTML visually attractive features. ESEF will be compulsory for all EU listed companies in 2020, get ready! This is the realm of iXBRL (inline-XBRL), see here. 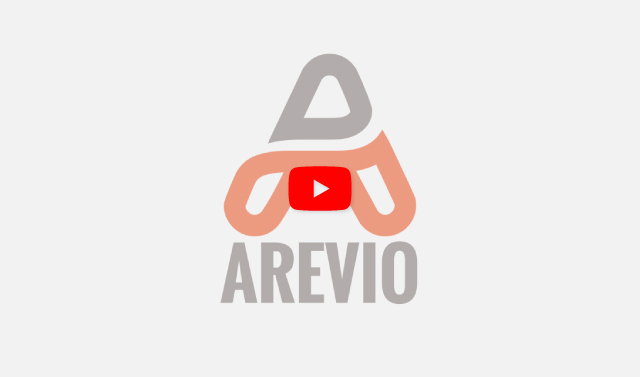 Arevio Finnish edition is a special project to help municipalities and communities prepare their XBRL filings in the framework of the government-sponsored strategy towards open data and digital democracy, see here.